Content marketing is an important part of your marketing plan. Clients and prospects are doing more research and are more educated than ever before. If you can be perceived as the industry expert through your blogs, publications, and other public writing, you’ll educate your clients and prospects about the architectural, engineering, and construction industry. Designing and building facilities is no easy task, and you have great knowledge to share about the process and lessons learned with your prospects and clients. By sharing relevant, pertinent information, you will be perceived as the expert in your field. You will help them make the right choice when it comes to selecting your firm. This is part of your brand position in the market place. Nu marketing knows it is hard to get your people to write anything, so we help assemble that content for you. 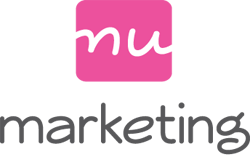 Through interviews and discussions, nu marketing will write blog posts and articles to be published in client and prospect centered publications. Knowing the architectural, engineering, and construction industry allows nu marketing to quickly write these blogs and articles giving you more time in your day to focus on your business.